One of my favourite Desktop Inspirations designs is Dream in Color. Dreaming in color is an important key to success. How on earth do you dream in color? Be specific about your dreams. If you don’t know exactly what you want, how are you ever going to determine what you need to do to get it? Dreaming in color allows you to reverse engineer your dreams and figure out all the action steps you will need to take to achieve them. Of course that is where the work begins. It is also when your dreams can start to become reality. 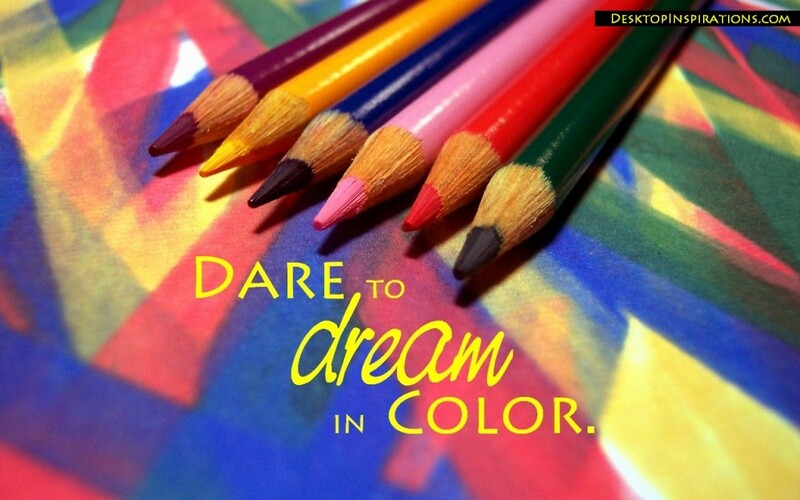 Dreaming in color ensures that your goals will be specific. With this most important criterion met, you will be well on your way to getting exactly what you want. *Quoted material from the Wikipedia page. Follow the link for more information. This desktop wallpaper is one of my favourites. It inspires me to get to work, to think big, to stop making excuses, and to shoot for the moon. I need this! When I designed it, I was thinking about how the dream of walking on the moon inspired so many people to invest their so much of their time and resources into making it happen. It started as science fiction. Jules Verne imagined what it might be like to rocket to the moon. Less than 100 years later, it was actually happening. People caught hold of the dream and made it reality through years of planning, huge financial investment, and lots of hard work. How far will your dreams take you? The answer to this question depends on the answer to another question. How hard are you willing to work? Because our dreams alone take us nowhere. I am not saying that dreams aren’t powerful. They are. Dreams can change how we feel about ourselves, and even change who we are inside, but it is ultimately up to us to act to change the circumstances around us. 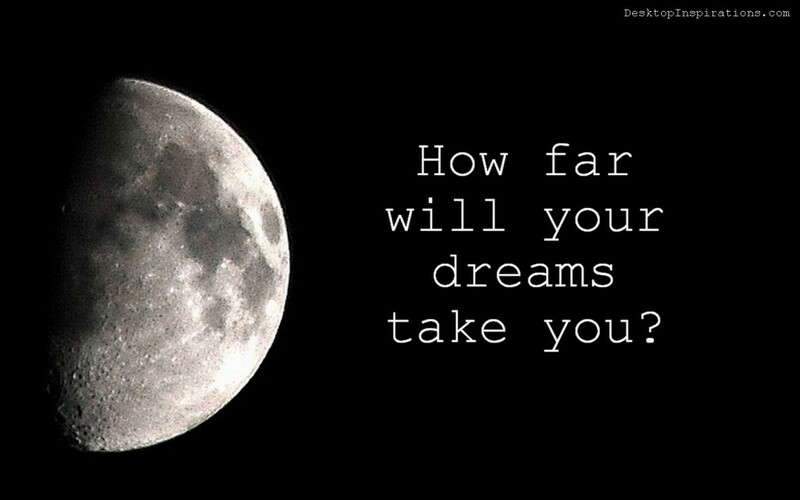 Do you shoot for the moon? Our dreams take us places, and our thoughts change our lives, only so far as we are willing to put feet to them and take action. Dreams empower us by shaping our plans and fueling our perseverance. How far will your dreams take you? As far as you can imagine, and as far as your feet are willing to walk. Dreams empower us by shaping our plans and fueling our perseverance.